When fate calls, a sensational super-team answers! The avenging Angel! Hercules, Prince of Power! The deadly Black Widow! Ghost Rider, Spirit of Vengeance! And the amazing Iceman! When the Champions come together, it is legendary! So much so they’ll face the mythological might of Cerberus, harpies, Amazons and Greek gods — all culminating in a wedding-stopping assault on Olympus! This mixed-up band might just be the heroes Los Angeles needs. And with the best headquarters Warren Worthington III’s money can buy, and Darkstar added to the ranks, they’ll be ready for the most uncanny of evils — like Swarm, Nazi scientist turned lord of killer bees! Only one group can stop the City of Angels from feeling his sting. They are the Champions — and they’ll keep on fighting ‘til the end! Collecting CHAMPIONS #1-3 and #14-15. John Byrne makes his sensational return to the series he started, and She-Hulk’s adventures as a super hero who knows she’s in a comic book get wilder and more hilarious than ever! Shulkie will face problems high and low as her signature writer/penciler pits her against Spragg the Living Hill and sends her on a puntastic Jenny to the center of the Earth! But will she say “I do” to the Mole Man? She-Hulk will banter, body-swap, and battle tooth and nail as she tackles foes like the Black Talon and his Unliving X-Humed — and the Living Eraser, who may just wipe her out of comic-book continuity! But is She-Hulk’s greatest nemesis Xemnu the Titan, or John Byrne himself?! Collecting SENSATIONAL SHE-HULK #31-46 and #48-50. The X-Men and Alpha Flight have always had Wolverine in common, even when they’re fighting over him! But when the stakes get too high, the mighty mutants and the defenders of Canada can set aside their differences and join forces to save the world! In an all-time classic, Alpha Flight and the X-Men face the mythical might of Loki — and it’s a transformative experience! And in a blast from the past, Alpha Flight must ride to the rescue when the X-Men fall victim to Hydra! Plus: Alpha Flight’s legendary first appearances — from the X-Men’s furious encounter with Weapon Alpha (a.k.a. Guardian), to the public debut of Canada’s premier super-team, to a savage showdown with the wicked Wendigo! Collecting X-MEN (1963) #109, #120-121 and #139-140; X-MEN AND ALPHA FLIGHT (1985) #1-2; and X-MEN/ALPHA FLIGHT (1998) #1-2. This thread has been updated to feature the release of JB's STAR TREK: NEW VISIONS #12 - "Swarm"
I love that REVOLUTION cover - and the concept, itself! In Previews they have JB doing Sub Covers for the entire series, but I'm not sure if they are all the same concept as #1. ...but looking at how the cover has images cut off I would lean towards they will be the same concept and possibly a very large poster. Official Handbook of the Marvel Universe Deluxe Edition! 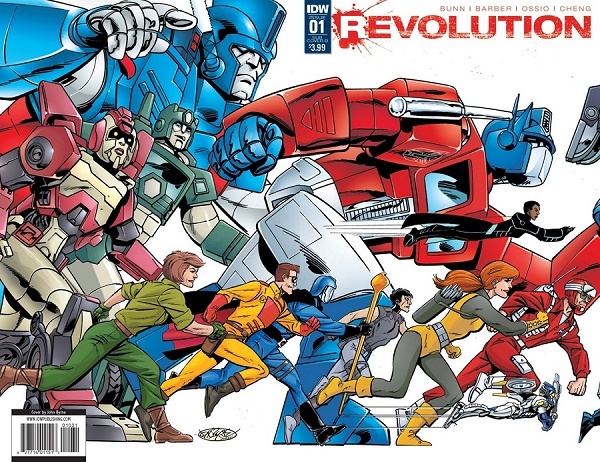 A pity that Byrne didn't complete the 15 covers. Now available. Got my copy today. 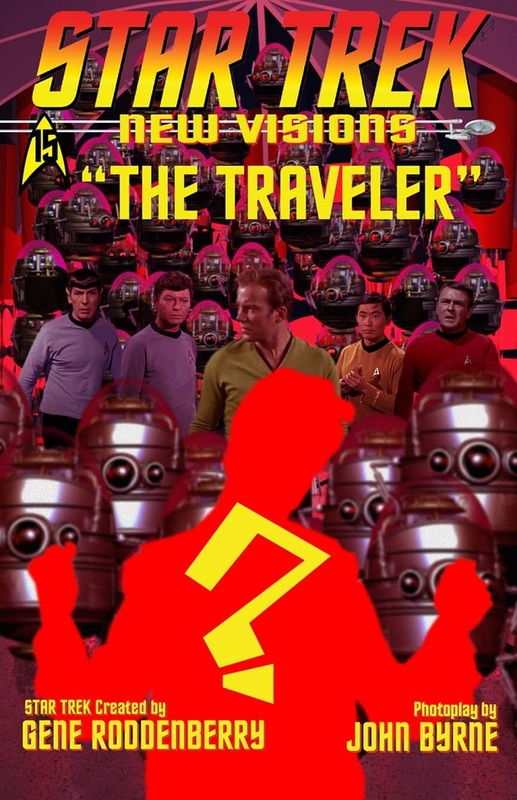 Kirk must face the greatest test of his belief in the Prime Directive. Great cover for "The Hidden Face"! I got my Man of Steel trade too! Comics legend John Byrne’s classic WONDER WOMAN tales are collected for the first time ever in WONDER WOMAN BY JOHN BYRNE BOOK ONE! When a grief-stricken scientist attempts to recreate his dead son as a computer program, Wonder Woman inexplicably finds herself battling Doomsday, Sinestro and the original Flash, three powerful beings who are no longer alive. Facing off against her former fallen ally, Green Lantern’s deceased archnemesis and the creature that killed Superman, Princess Diana tries to piece together what is behind these miraculous resurrections. But even the answer to their mysterious return might not be enough to save Wonder Woman from the combined onslaught of these deadly adversaries. Great to see JB's WONDER WOMAN coming out! The "Book One" is encouraging that we will see the whole run issued in trade paperback. The "first time ever" is a bit misleading, since all but one of the issues in this collection were issed as the trades "Second Genesis" and "Lifelines". 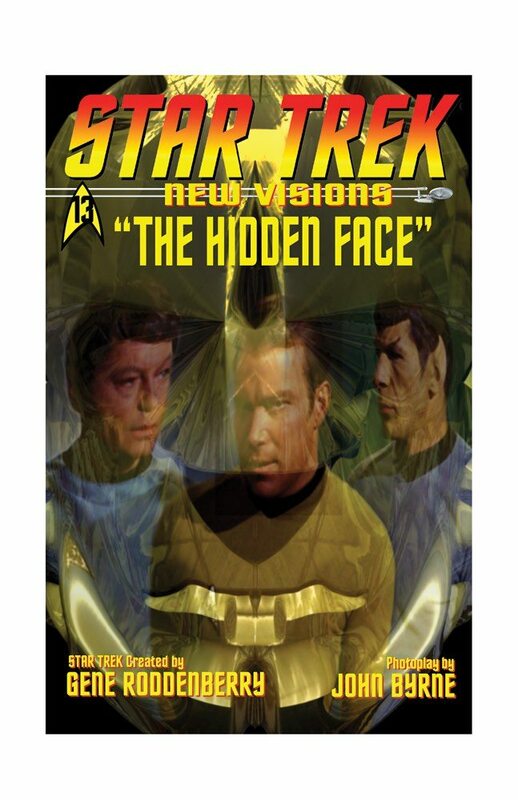 This thread has been updated to feature this week's release of STAR TREK NEW VISIONS #13 - "The Hidden Face"
In the wake of the ANNIHILATION events, Star-Lord recruited Rocket and Groot to guard the galaxy — but what were the three unlikely heroes doing in the years before they came together? Find out in these pre-ANNIHILATION adventures! When She-Hulk is caught in a cosmic caper, she finds Rocket Raccoon — transformed into a stone statue! What happened, and can Shulkie figure out how to de-petrify him? Meanwhile, an imprisoned Peter Quill joins Adam Warlock, Pip the Troll and Gladiator as uneasy allies of…a redemption-seeking Thanos! What could possibly go wrong? 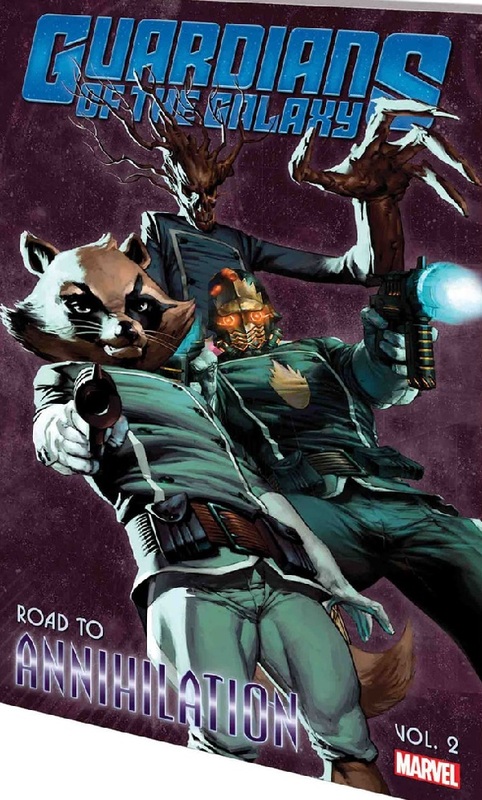 And when the Collector’s menagerie of monsters is set free, Groot goes on the prowl — but will he end up serving in Nick Fury’s supernatural Howling Commandos? Collecting SENSATIONAL SHE-HULK #44-46, THANOS (2003) #7-12, MARVEL MONSTERS: MONSTERS ON THE PROWL and NICK FURY’S HOWLING COMMANDOS #1-6 and #1 DIRECTOR’S CUT. 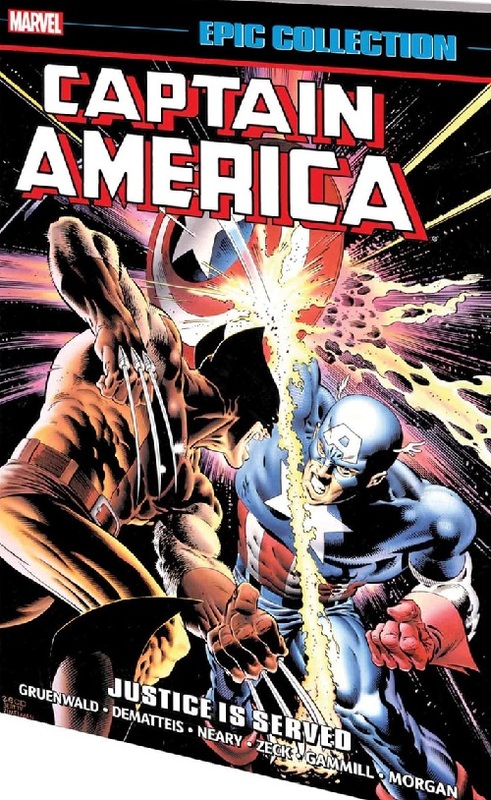 Cap faces a Scourge on the Marvel Universe! A super villain serial killer is on the loose, marking every death with an enigmatic epitaph: “Justice is served!” As the bodies pile up, can the Living Legend take down this Scourge of the Underworld before there are no more criminals left to fight? And as if Scourge wasn’t enough, there’s Blue Streak, Flag-Smasher and the Slug to contend with! Other heroes can be just as much trouble — like enthusiastic D-Man, savage Wolverine and misguided Super-Patriot! But the government itself might strike the final blow! Between friends, foes and ghosts from his past — by the end of this story, Steve Rogers will be Captain America no more! Collecting CAPTAIN AMERICA (1968) #318-332 and ANNUAL #8, AMAZING SPIDER-MAN (1963) #278, material from MARVEL FANFARE (1982) #29 and #31-32, and more. With the original X-Men captured, Professor X recruits an all-new, all-different team to take on the mantle of the Uncanny X-Men! Including Wolverine, Storm, Colossus, Nightcrawler, Banshee, Sunfire and Thunderbird, this new international cast redefined super-hero teams forever. The transition from old team to new won’t come easy, though: Wolverine and Cyclops clash! X-Man battles X-Man! Death and rebirth visit the team! And an old nemesis returns! Plus: the first hints of Alpha Flight and the Weapon X program, the team’s first outer-space saga with the Starjammers, and rare early X-Men adventures! 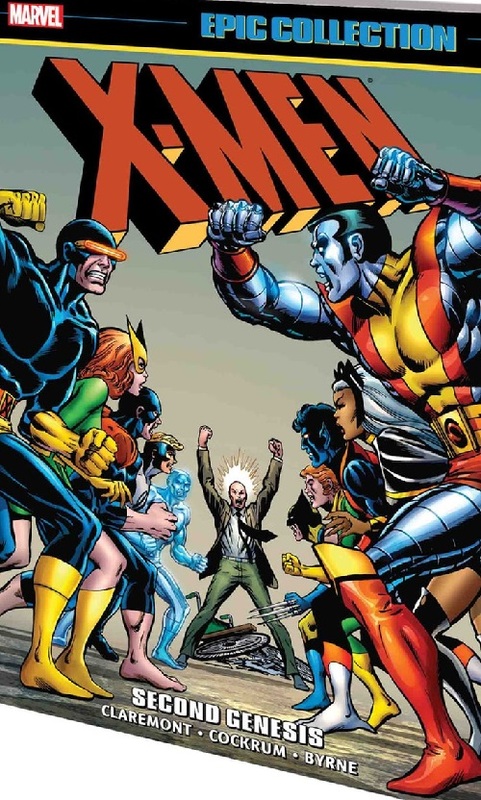 With comic-book titans Chris Claremont, Dave Cockrum and John Byrne at the helm, the X-Men’s rise to the peak of popularity starts here! Collecting GIANT-SIZE X-MEN #1; X-MEN (1963) #94-110; MARVEL TEAM-UP (1972) #53, #69-70 and ANNUAL #1; IRON FIST (1975) #14-15; and material from FOOM #10. Jim Shooter and an unparalleled team of avenging artists — George Pérez, John Byrne, Jim Starlin and more — bring you Earth’s Mightiest Heroes at their best! This Marvel Masterworks volume is packed from cover to cover with classic encounters staged on a truly massive scale: Jim Starlin’s defining “Thanos War,” Ultron’s revenge, the cosmic “Korvac Saga” — it’s a dizzying array of iconic adventures! Luckily, the Avengers aren’t alone as they face these challenges — they’re joined by the Guardians of the Galaxy; the Amazing Spider-Man; and the ever-lovin’, blue-eyed Thing! Also featuring Adam Warlock, Gamora, the Collector, the Lethal Legion, Count Nefaria, a new look for Wonder Man, and the unfolding secret origins of Quicksilver and Scarlet Witch! 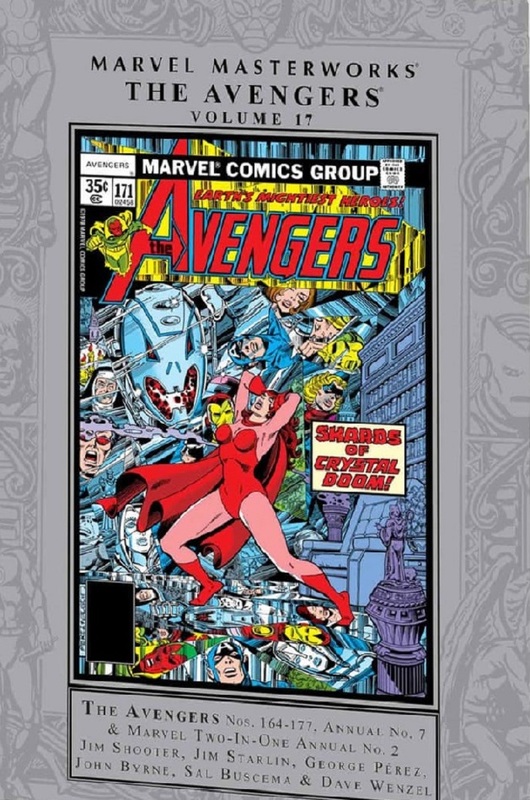 Collecting AVENGERS (1963) #164-177 and ANNUAL #7, and MARVEL TWO-IN-ONE ANNUAL #2.